Hello! 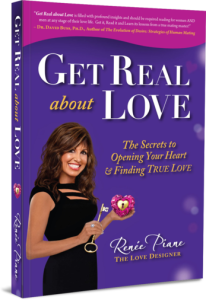 I’m Renée Piane, The Love Designer, and I’m on a mission to ignite the hearts of busy, successful people around the world to Get Real about Love and reinvent their love lives. I am honored that you are here to learn more about me and discover how I can help you achieve your ultimate love vision. 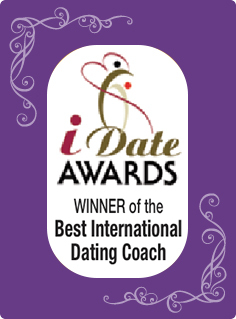 Together, we will navigate the wild world of dating as you open your heart to discover what you are looking for as your redesign your new lifestyle! After nearly two decades in the love and dating industry, I’m proud to say that I’ve helped thousands of people find true love or get back out there after a divorce or separation. Now, it’s your turn! Choosing a life partner is one of the most important decisions of your life, yet most people rush into relationships or stay in unfulfilling situations that aren’t aligned with who they really are. I’m dedicated to helping you take charge of your love life and design a lifestyle that supports your vision. As a matchmaker for love and business, I have all the resources needed to transform your life. Over the last 20 years I’ve advised singles in their 20s, 30s, 40s, 50s and 60s, many of whom went on to find true love. Experience has taught me so much about the ways different generations and cultures date and helped me to examine the deeper issues people face in today’s mad world of dating. I started out teaching Love Tune Up classes to single men back in 1990s and discovered that most men never had any official “Prince Training.” This realization led me to start my coaching business and inspired me to write my first book, Love Mechanics. I became the voice and representative for all the wonder women in the world to help men understand women. Since then, I’ve been passing on my secrets to thousands of people with my Get Real about Love coaching, classes and live events. How do You get started? Now, it’s your turn to take the first step towards finding true love. I can design a personal action plan to prepare you for love from the inside out. If you’re serious about finding true love, email or call me at 310-827-1100 to set up an initial Love Design consultation. I look forward to meeting you and helping you create your new love story!